Have you ever sprouted an avocado pit in a cup of water on your kitchen windowsill? For many of us, this is a first step in exploring the world of science. It’s a fun and satisfying way to awaken your inner gardener. I had fun reading a recent NYT article, Seeds Straight From Your Fridge, which dallies with the idea of using seeds, pits, and even dried fruits from the cupboard as a source of generating household plants and edible crops. The article’s author was inspired by 1977’s Don’t Throw It, Grow It Book of Houseplants, which introduced readers to dozens of seeds found in the pantry that could be grown indoors. 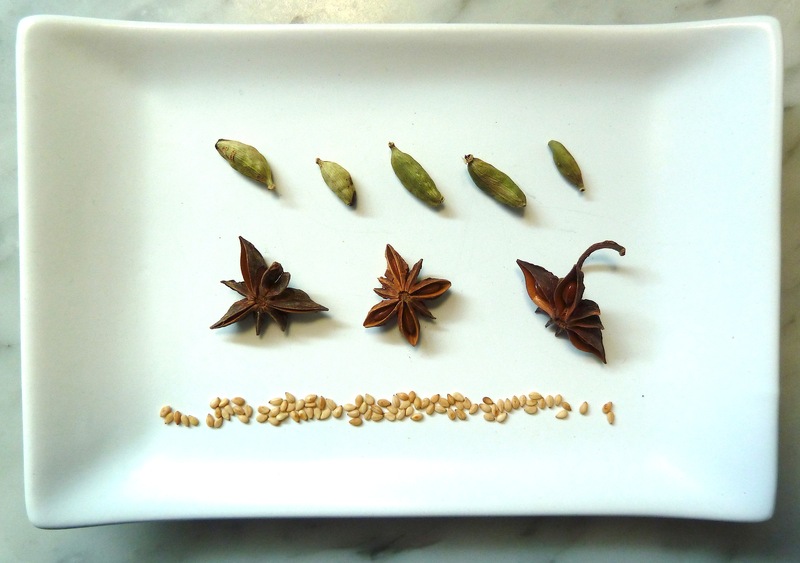 He experimented with spices, including nutmeg, mustard seed, poppy seed and cardamom. He also tried out dried beans and fruits, including figs, dates, red beans and chickpeas. And he diverted remains of produce destined for the compost bin, including sweet potato, grapefruit and ginger. These experiments were met with some failure, some success. 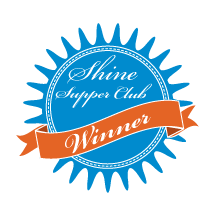 A lot of the failures resulted not from the age of the food items, but from their processing for shelf stability. Freezing, sterilization, steam heating, and irradiation will pretty much take the regeneration possibilities out of the picture for any seed. The author did have gratifying results with sprouting alfalfa, mustard seed and poppies,the latter two of which he said ” sprouted as soft and thick as a flokati.” Dried beans, as in Jack and the Beanstalk, also grew impressively, These included lentils, red beans and chick peas. 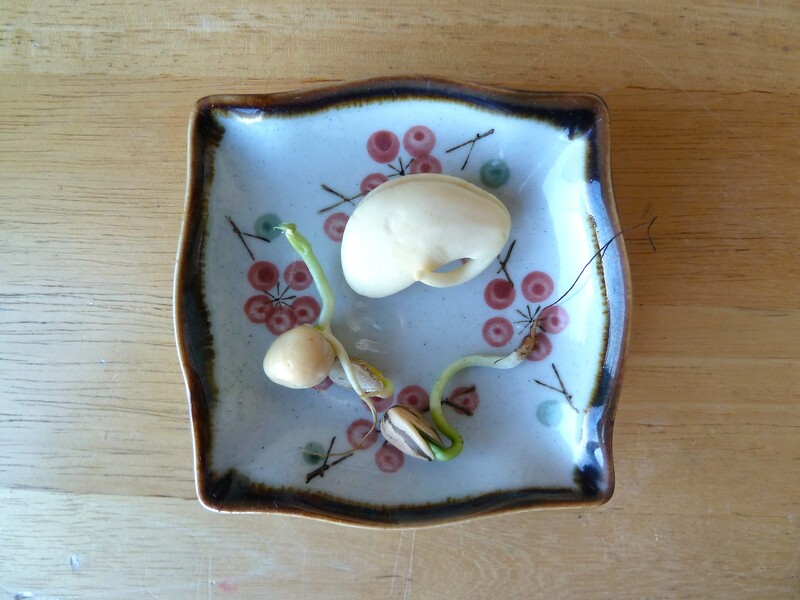 My 3rd grader is learning some plant biology now in school and has brought home a kitchen experiment of her own– germinating, or sprouting, three different legumes. 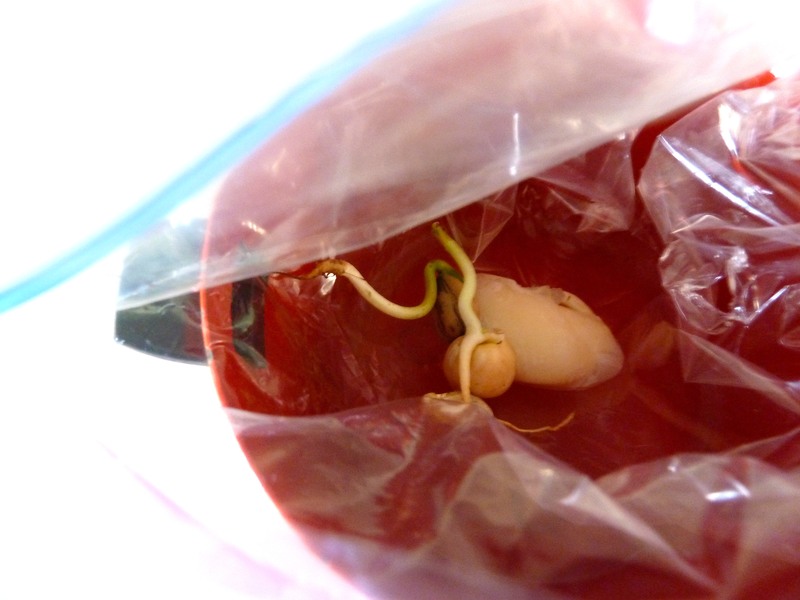 In a very low-tech contraption– a little plastic bag with a moistened towel in it– she is sprouting a lima bean, a garbanzo, and a sunflower seed. 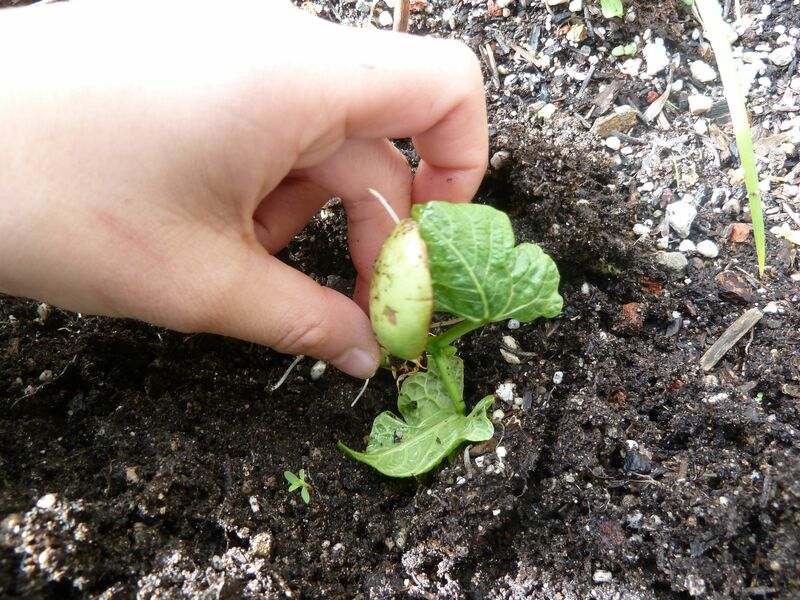 It’s been an exciting experiment for her– these beans sprout quickly! She’s got grand plans for growing our own beans just outside the front door, where we already have our immortal supply of scallions growing. While you may not always be able to bear edible fruit from your kitchen experiments, in most cases you will produce attractive foliage and flowers. This is an impressive way to reuse the remnants of your produce– even better than composting. 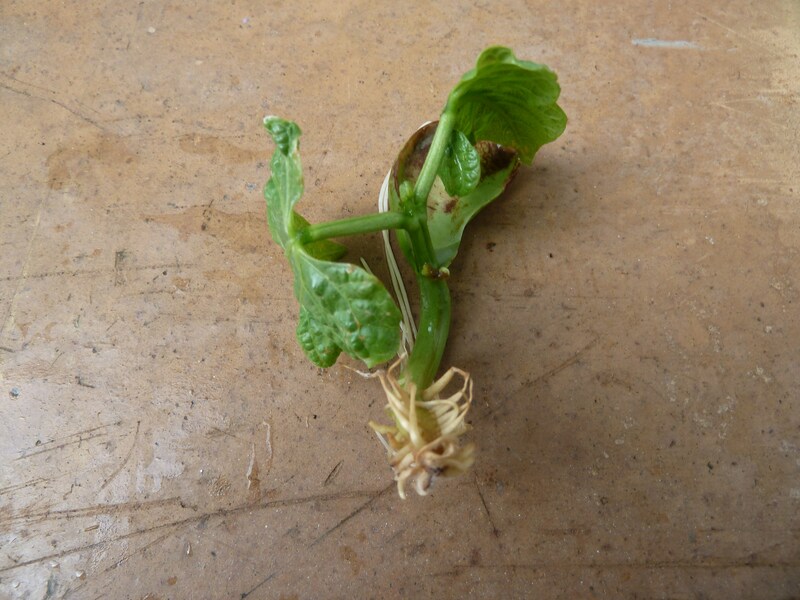 Have you had luck with growing plants from your kitchen scraps? I’d love to hear your experience, successful and otherwise. I like this idea and I’ve always wondered if food-packaged seeds would sprout. I’m starting herbs from seed (seed-seeds, if that makes sense) – on my windowsill I have rosemary and thyme, which I consider challenging, plus basil and chives. I wanted to thank you for this great read!! I without fail enjoying every minuscule bit of it. I have you bookmarked to check out new stuff you post. I precisely feel strongly about it and love finding out more on this topic. If feasible, as you perform expertise, would you thoughts updating your blog with more data? It authentically is extremely useful for me.